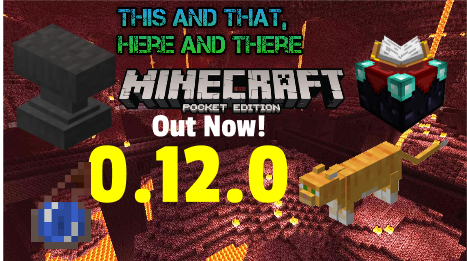 BREAKING NEWS: Minecraft: Pocket Edition 0.12.0 Out Now on iOS! The update that we have long waited for is here! It is awesome! To see the full list of features in a post by me, click here. Not only can Android users play it, but now iOS users can too! And also Amazon. In case you haven't noticed yet, there are also Snow Golems and Iron Golems, too, just something I thought I might point out that not many had noticed. Now all you have to do is click the update button on the Appstore, Google Play Store, or whatever you use, and have fun playing it!